Last year Santa sent the boys a package from the north pole. 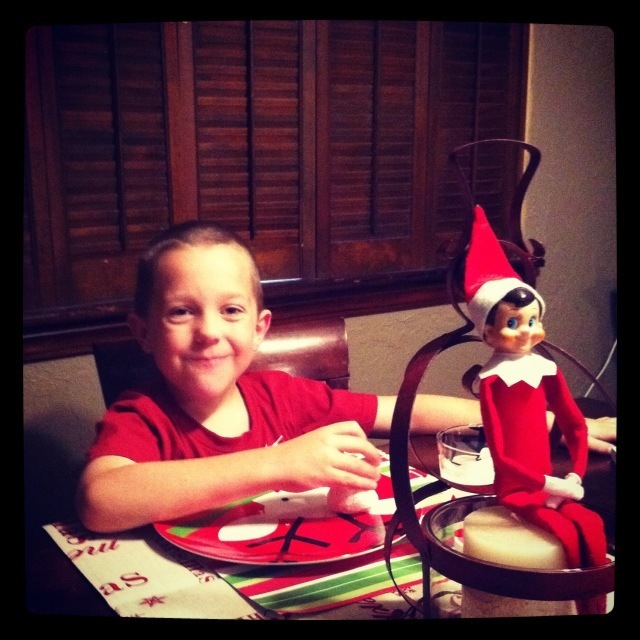 He sent our very own elf (on the shelf). Jax got to name him. His name is Fred. Jax has talked about him over the year. He was Soo happy to see that he came back this year! 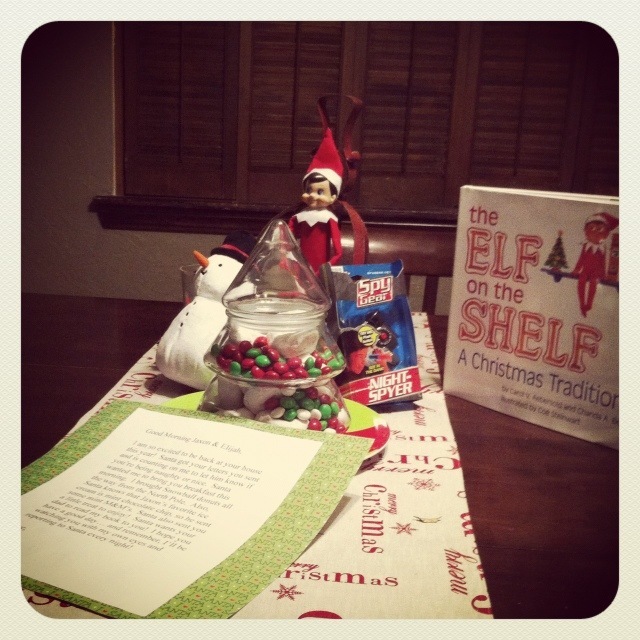 Fred brought us a north pole breakfast! Complete with snowball donuts, new Christmas plates and cups and a few treats, it was a fun morning!! 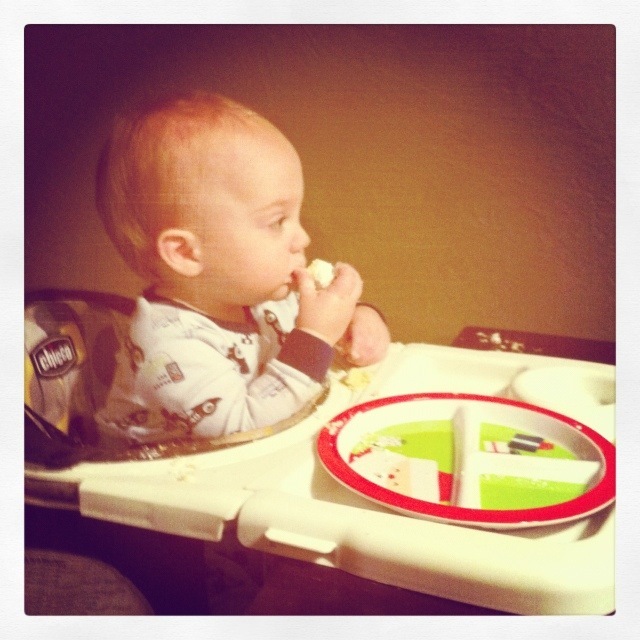 Eli and his first donut… he loved it! Who doesn’t love a good donut? Your boys are getting so big!! !